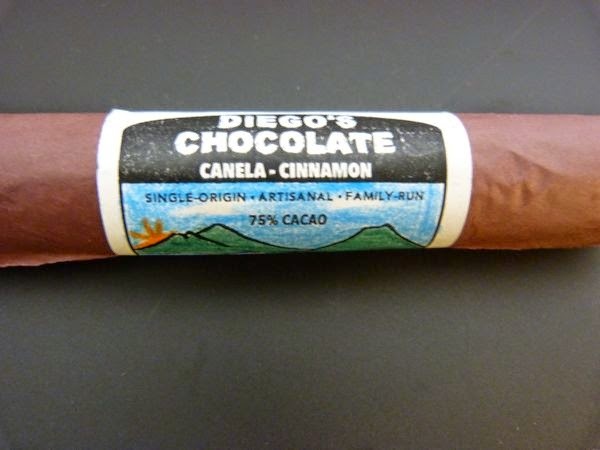 Today was Day #7 of Chocolate and Central America Theme Week, and I've started and ended this week with a rustic, single origin 75% chocolate from Diego's Chocolate (San Pedro La Laguna, Guatemala). 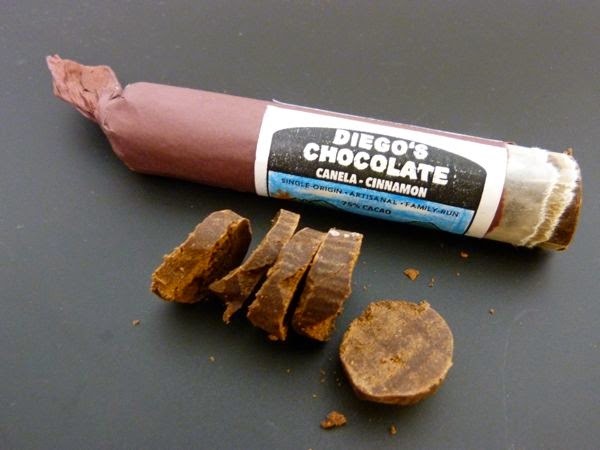 Diego's chocolates are cigar-shaped, hand-crafted rolls that maintain the bright flavors and texture (slightly grainy) of fresh ground ingredients. Today's artisanal chocolate was infused with subtle ground cinnamon flavor. This authentic chocolate comes from rural Central America, a region with volcanic mountains, lakes and forests where cacao grows. 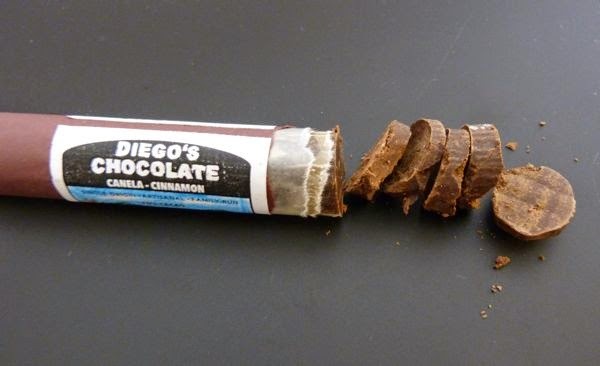 It may lack some of the buttery smooth, conched-for-days mouthfeel of a Swiss-made chocolate bar, but it is a wonderful example of how chocolate confections were first (and still are) created in Central America. This style of chocolate stretches back for centuries, and pre-dates more expensive, stainless steel industrial machines and infrastructure. And these chocolates are Maya grown and Maya made chocolates that are created "in-country" -- a treat in and of itself.